With this you can make restaurant tasting fried rice at home. Be sure that your rice is nice and cold when you start out. 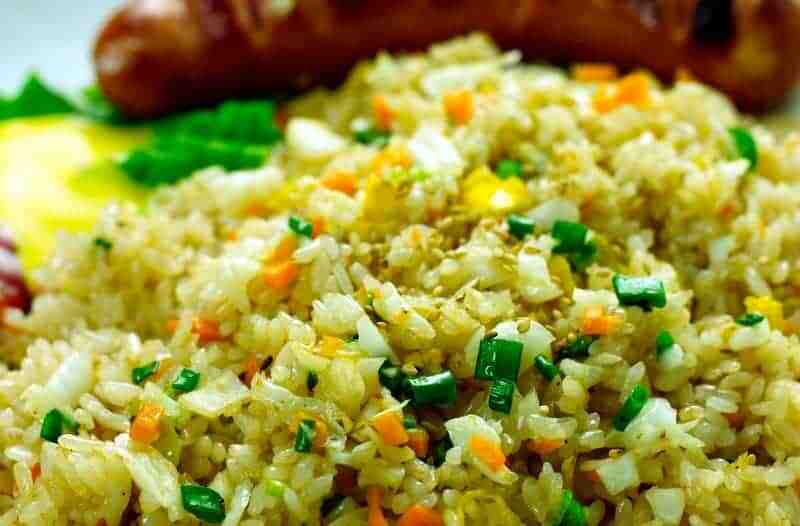 Enjoy restaurant tasting fried rice at home. Add oil to a very hot skillet. Break egg in pan, and scramble until cooked. Add one breast of chicken, onion, vegetables (snow peas, bean sprouts, left over veggies). Add cold rice, sugar, pepper, and 10 drops of soy sauce. Stir over stove until rice is dry, and starts to turn clear and shiny. This was really good! My kids love fried rice so I was glad to find this recipe now I can make it at home!